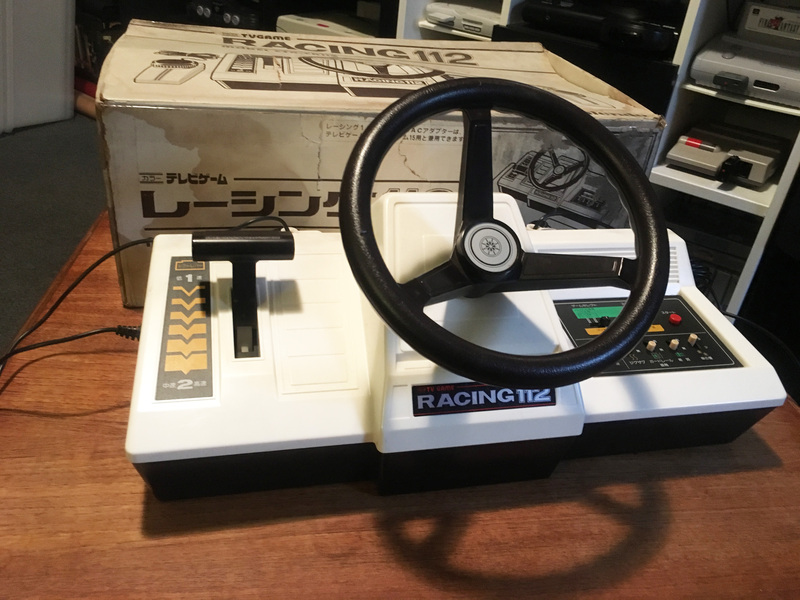 Nintendo Color-TV Game Racing 112 (カラーテレビゲームレーシング112) – Nintendo Sega Japan! 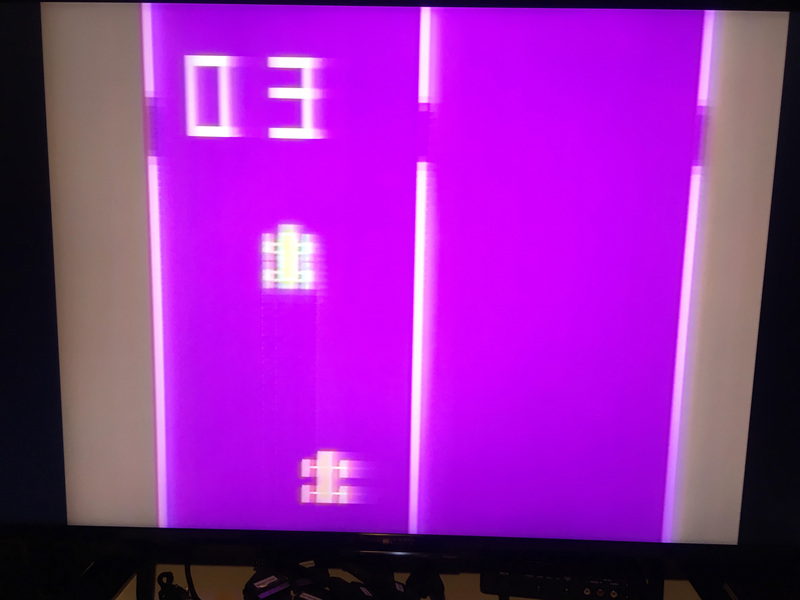 First there was the Color TV-Game 6, then the Color-TV Game 15. 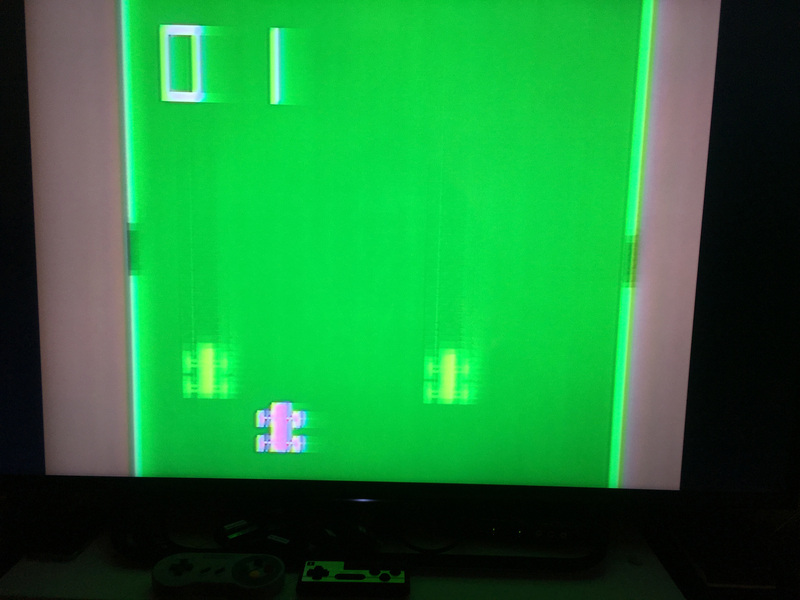 And the final Nintendo single-game console release was the Color TV-Game Block Breaker. I was missing one – until now. It’s a huge game, due to the realistic wheel and gear stick. 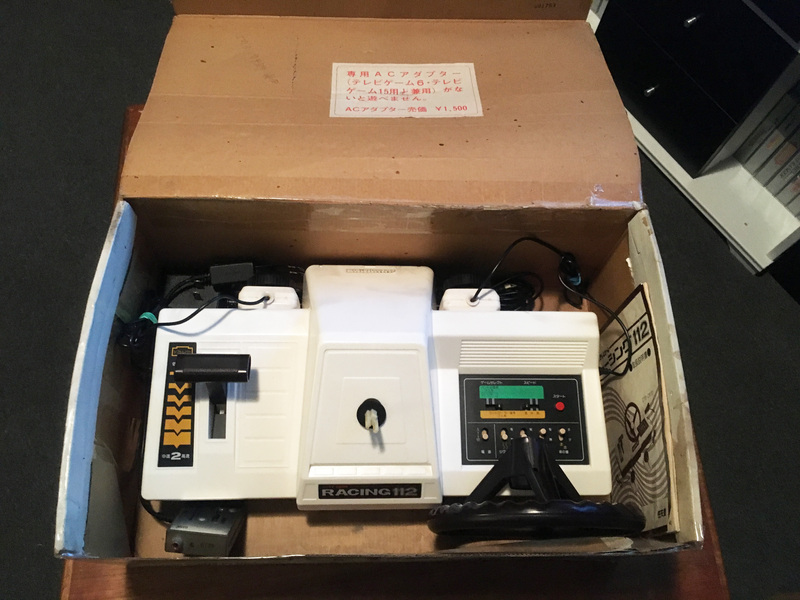 The wheel is removable for transport so it can fit in a smaller box, but the box is still huge, here it is next to a Famicom for scale. The centrepiece of the system is obviously the wheel. On the right side of the system is the game modes panel. You can select between one or two player modes, track width, speed level, enemy car behaviour (zig zagging or straight lines), if hitting the barriers counts as a crash, road hazards, and if there are one or two opposing cars at once. Down is the easier position for each of the option switches. The red button is reset/start. And on the left is the two position gear shift. 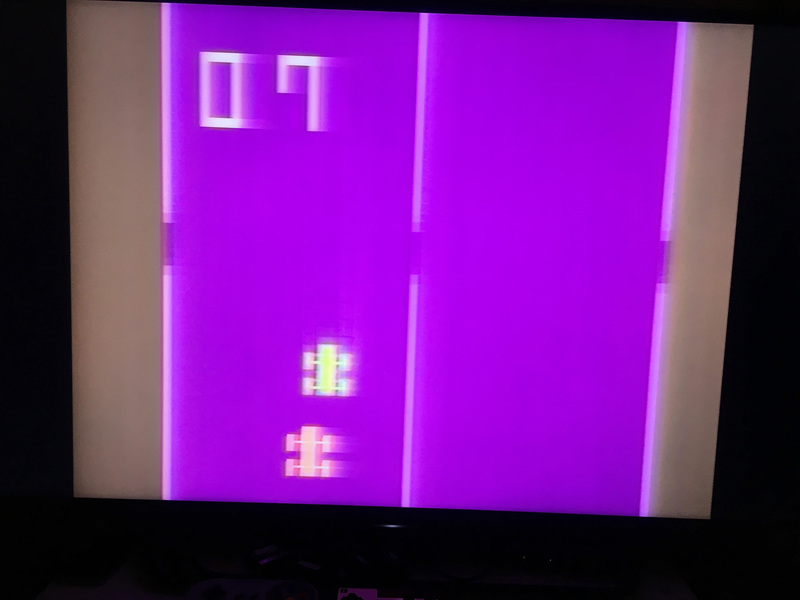 In terms of design, it’s pretty much a straight clone of Taito’s 1974 arcade game Speed Race, which was the first ever game with a scrolling background effect. You view the track from above, and steer left and right to avoid the other cars on the road. It scrolls quite smoothly, the moving effect being provided by trackside ‘stripe’ markers. 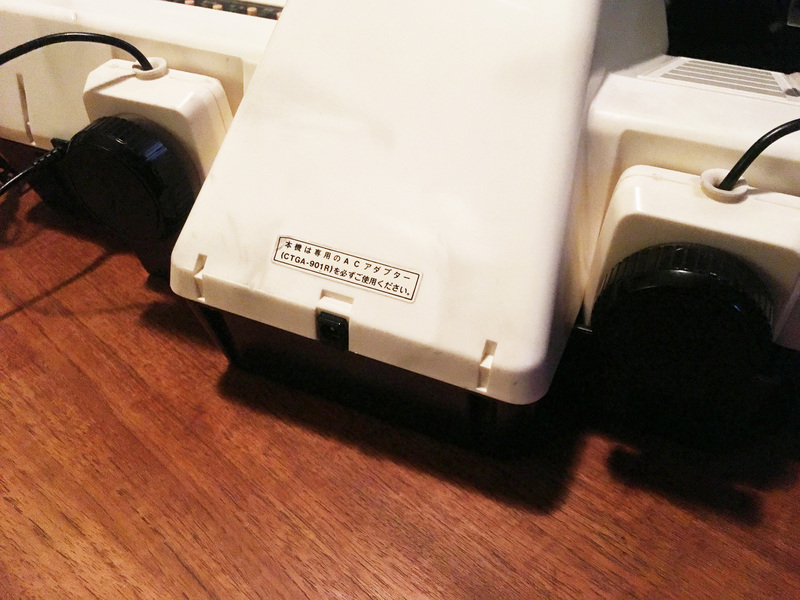 Personal side note: I remember playing Speed Race in a local (ish) arcade in the late 80s/early 90s. The arcade, know as ‘Funland’ opened in 1970 as a pinball parlour (even before there were video games) and collected and maintained games from every era over the years. 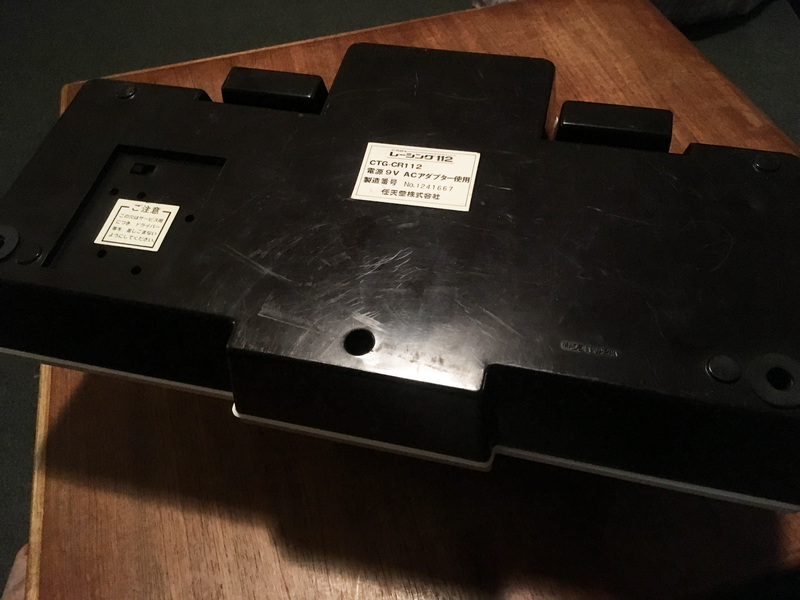 I didn’t appreciate at the time, but that arcade’s maintenance of old machines gave me some early gaming history lessons! Back to Racing 112. There are two major variations of the one player game, with wide and narrow roads. You must pass the other cars without hitting them, and last as long as you can. 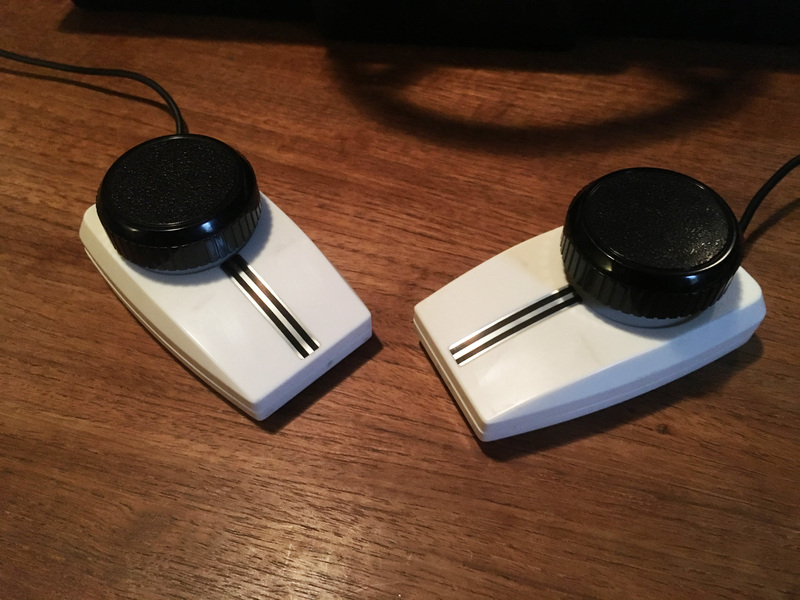 The feature switches allow you to adjust speed, number of cars on the road (one or two per screen/wave) and the way the cars move (straight or in patterns). 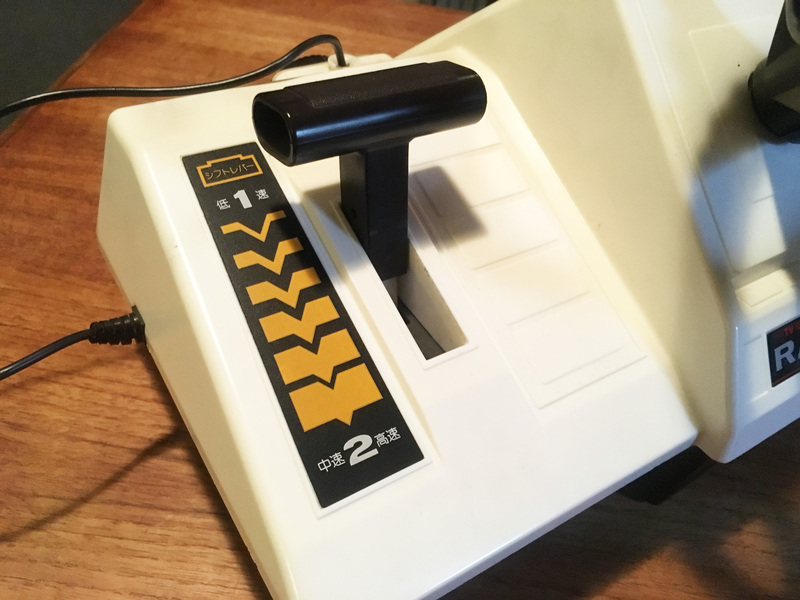 It’s pretty basic, but compelling, and the basic gameplay formula remained popular well into the mid 80s with the likes of Midway’s Spy Hunter, Konami’s Road Fighter, and Sega’s Action Fighter. 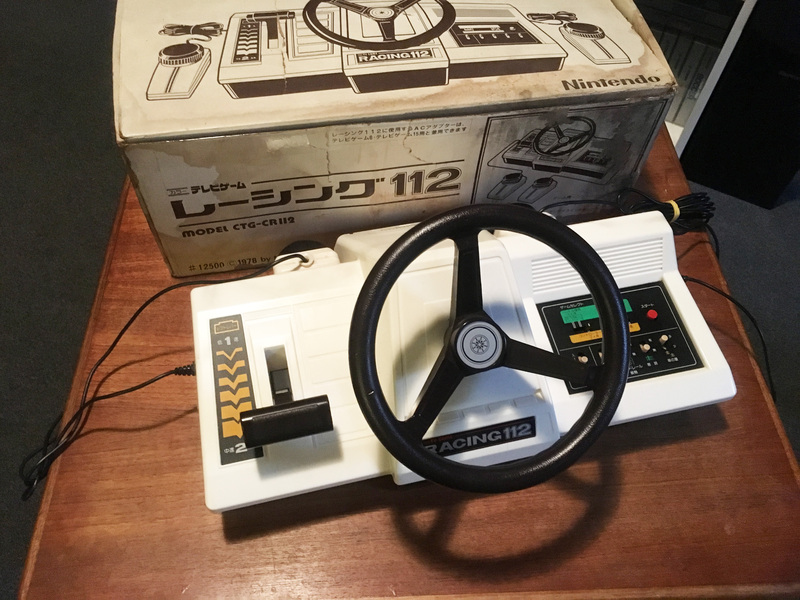 The two player mode doesn’t use the steering wheel, but instead two paddle controllers, which you can pull out from storage slots on the back. 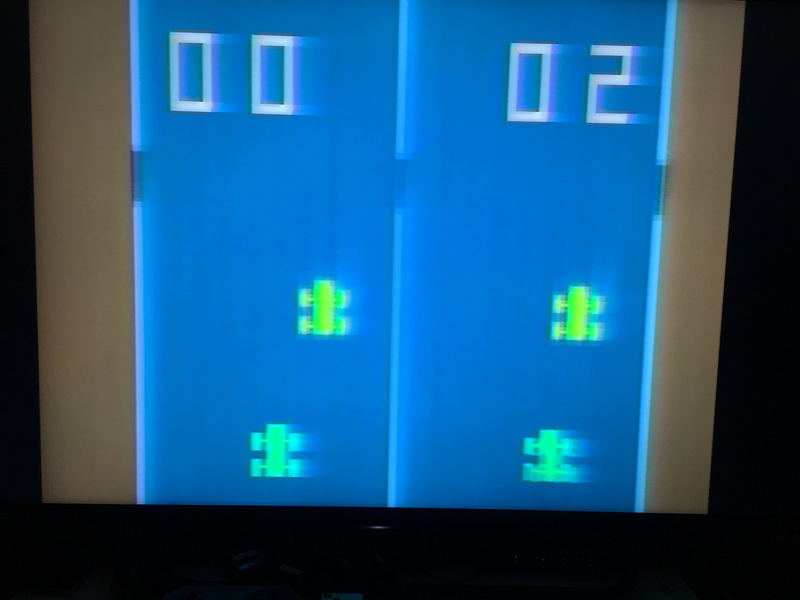 You stay at only one speed in two player, but while all game modes remain intact, it’s basically just a head to head for score, as the two players stay on their own track and do not interact with each other. 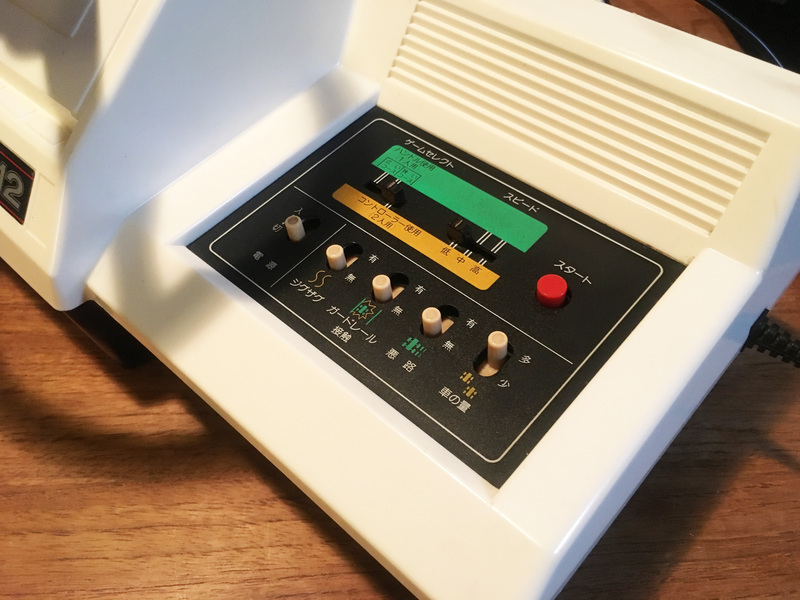 Just like all the other consoles in the CTV series, it connects via a hardwired RF cable and tunes to the same Japanese channels (1/2) as a Famicom, and uses an external 9V power supply which was sold separately and compatible with all models. 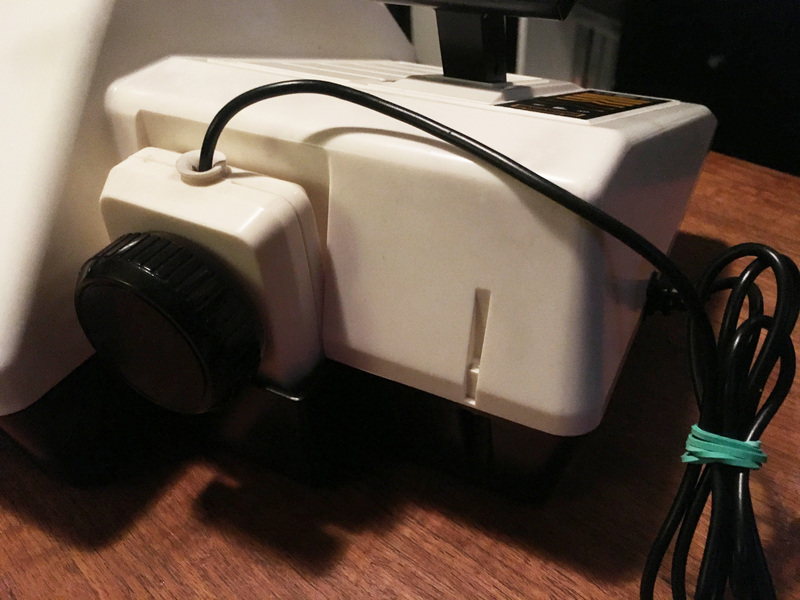 A Famicom compatible power supply works perfectly too. 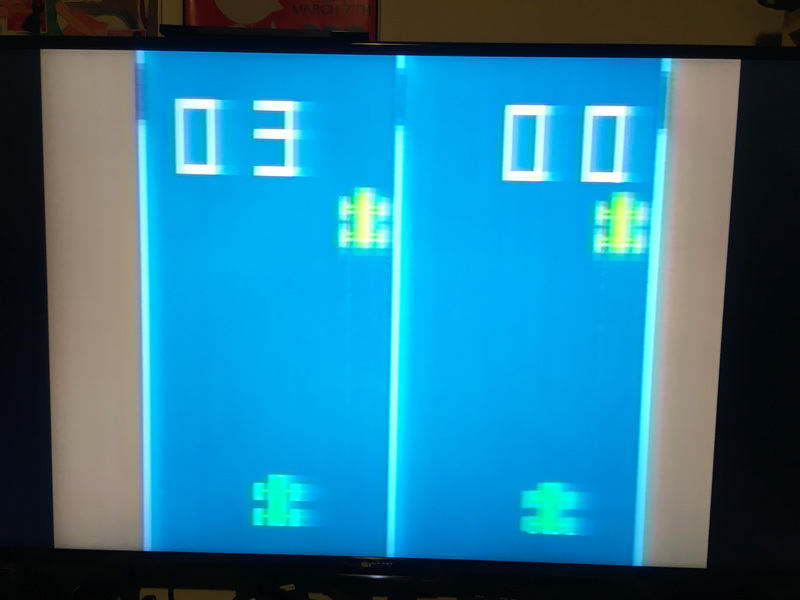 The Color-TV Game 6 had six Pong variations, and and the Color-TV Game 15 had either seven or about 20 Pong variations depending how minor a variation counts. 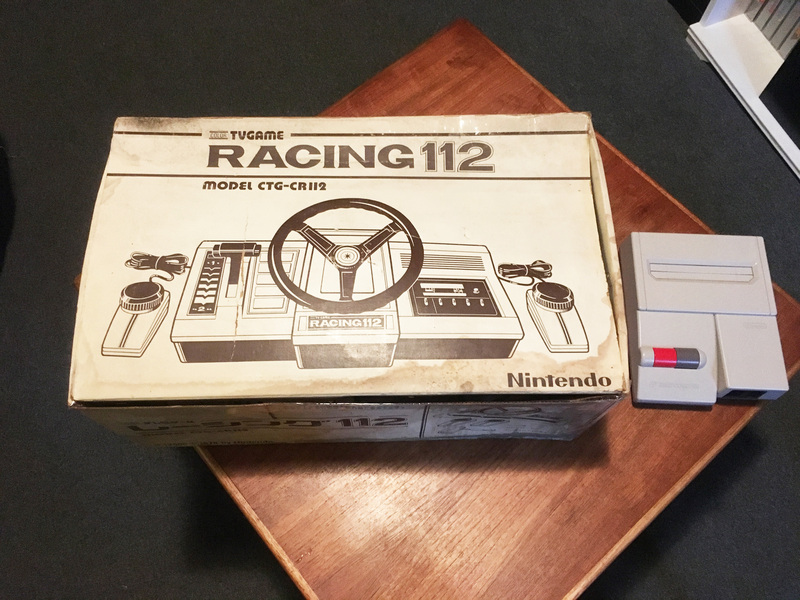 Does Racing 112 have one hundred and twelve racing game variations? Technically yes, something like that. 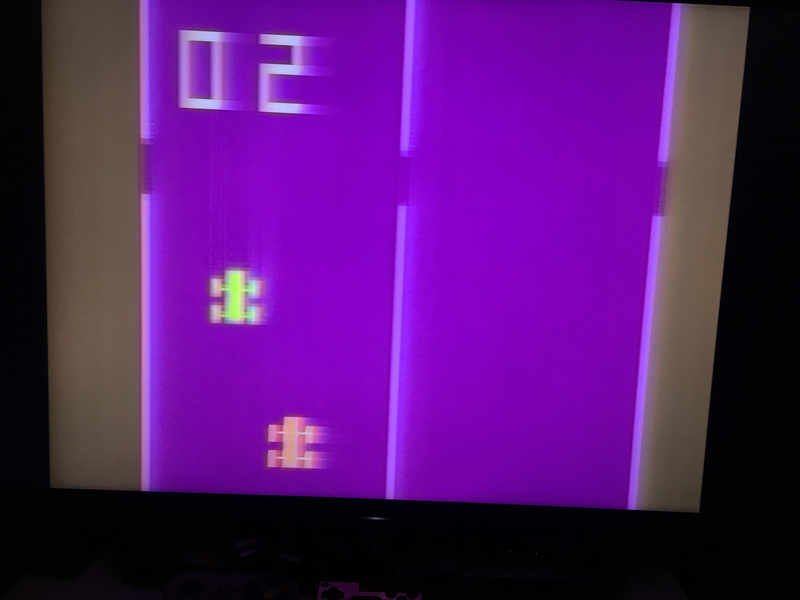 In an era where adding a feature like zig zagging cars might mean a whole new release (Super Zig Zag racing Turbo III!) saying there were over 100 game variations isn’t actually false advertising. 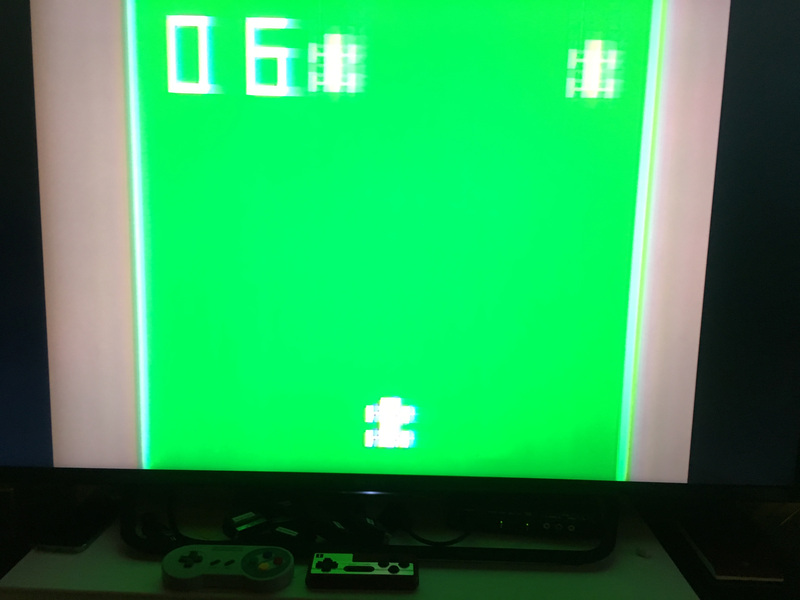 The Color-TV line ended the following year with the awesome Block Breaker, which was also the first game to feature the Nintendo brand on the casing. But for going all-out, it’s hard to beat the Racing 112.